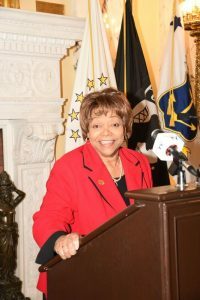 Newport school committee chair and RIASC Board member Jo Eva Gaines has received the 2017 Paul W. Crowley Award from the Rhode Island Association of School Superintendents. Jo Eva has 29 years of experience as a teacher and also served as a guidance counselor before her retirement. 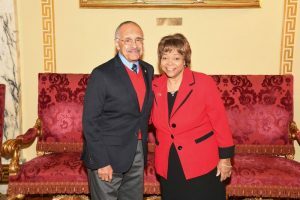 She also currently serves on the Board of Education. The Crowley Award is given annually to a Rhode Islander or organization that has demonstrated a long-standing commitment to improving the quality of education, as the late Paul Crowley did throughout his career. RIASC commends Jo Eva for her lifetime commitment to public education. A $1,000 scholarship also will be awarded to a deserving senior at a Rhode Island public high school who is planning a career in education. School Committee 101 – Well Attended, Informative Day!